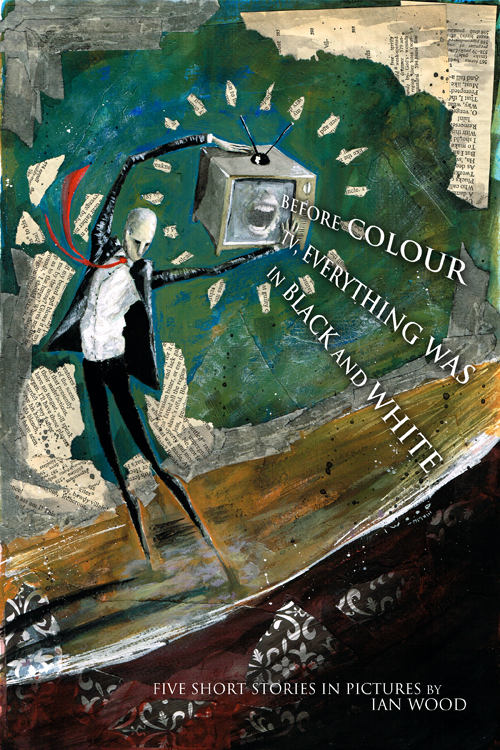 I’m pleased to announce that my book, Before Colour TV, Everything was in Black and White, will debut at FanExpo Vancouver, held on April 20-21 at the Vancouver Convention Centre. The book collects four of my short comics (“Mailbox Transmissions”, “An Unexpected Guest”, and two others) as well as an illustrated short story. All of these will eventually be published for free on this site, albeit about half a year to a year later. I can reserve copies in advance, but none will be sold until FanExpo Vancouver. Send me an email if you want to reserve copies: iwood[at]shortstoriesinpictures.com. The book will be a trade paperback with 116 black and white pages. Cover price is $12,50. If you want a copy your best bet is to pick it up from me at FanExpo.